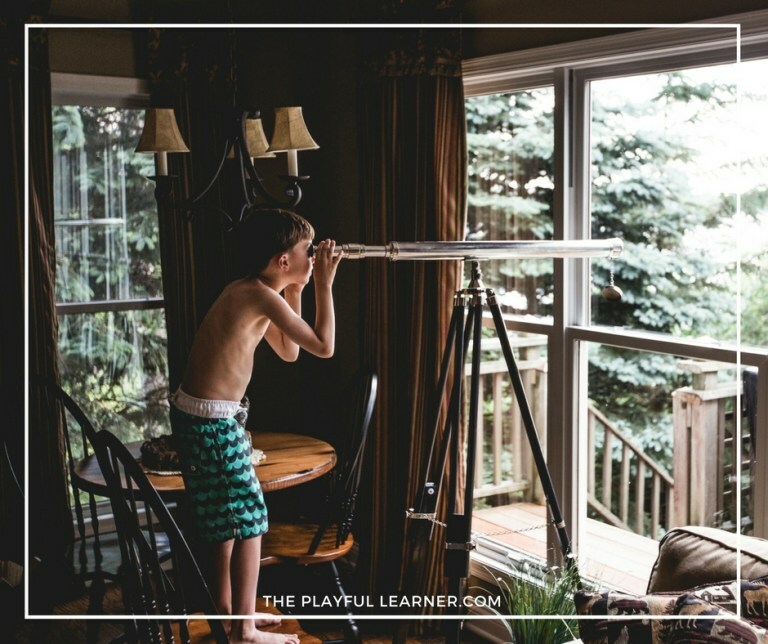 This wonderful article is written by guest blogger Amber from The Playful Learner. Thank you so much Amber for your contribution. And why is it questionable that they could play and learn simultaneously? Social skills are best learned through play. So much of early childhood is about learning how to socialize, being outside of the care of their parents, and learning how to make friends. Learning how to cooperate and compromise. Learning how to communicate effectively with their friends during play is challenging and gives them great social skills. When children play together they have to come up with rules, deal with others’ emotions, and have empathy. Emotion-coping abilities are best learned through play. So much of early childhood is about learning how to cope with your big emotions. For example, learning that it’s OK to be angry, but it’s not OK to hit someone. Experiencing that they don’t always get their way, and sometimes people will do things to upset them. They’re learning that big feelings come and go, and you can go back to playing once you’ve calmed down and solved the problem. Pre-literacy skills are best taught through play. Do we want them to learn pre-literacy skills to prepare them for writing and reading? To be best prepared for kindergarten, they do need some skills such as knowing the alphabet and recognizing their names. Things like storytelling and make-believe are fabulous for leading to reading skills. Drawing and playing with play-dough are great for pre-writing skills. Sitting them down at a desk and having them fill out worksheets may get their pre-writing skills up, but it will also make them learn to hate school, learning, and writing. Math skills are best taught through play. Do we want them to have early math skills like counting, measuring, and spatial awareness? Absolutely. Puzzles give them fabulous spatial awareness. Counting out the marbles so that everyone has a fair share is helping them learn how to count. Measuring flour for the baking project is helping them learn math skills. There are a million ways that STEM skills can be learned playfully. Academic-based preschools will tell you that they are the best for Kindergarten Readiness. And you know what? They’re right. Children that go to academics-based preschools do better academically in Kindergarten. The academic benefits only last through Kindergarten; academically the children balance out by first or second grade. The academics children end up suffering socially and emotionally throughout childhood. They don’t have a strong foundation of social skills and emotion coping abilities. If all we cared about was Kindergarten test scores, then let’s sit them down, lecture them, use flashcards, and drill academics. But since we care about the whole person, let’s encourage them to playand learn. Through play, children learn about themselves, each other, and the world. It’s immersive and quality experience to allow children to follow their curiosities. The best way is not to sit and listen to a teacher lecture about how stories have a beginning, middle, and end, but to tell a story themselves. Of course their first several won’t follow a traditional narrative. They’re learning. Practicing, exploring, and doing will make them better at these tasks than listening, worksheets, drilling, and memorization. When we consider how we want our preschoolers days to be filled, we have to first consider them as young human beings. They haven’t been around for very long, they’ve only been able to speak for a year or 2 and they’re still learning more every day. They haven’t been able to walk or run for very long. What kind of people do we want our children to be? Stressed out, no friendships, but a stellar Kindergarten report card? Or well-rounded, balanced people with a zest for life, a healthy body, and an interest in learning? So, how DO children play and learn at the same time? To answer the original question, children play and learn at the same time because when they’re playing they’re using their whole body and brain. They aren’t following a pre-made path with an adult guiding them. Instead, they’re exploring, asking questions, discovering their strengths, weaknesses, and interests. Instead of adults giving them a problem to solve that has a specific desired answer, they’re discovering their own problems and answering them themselves. They’re learning to love learning. We want our children to be good at learning. We want them to know that learning can be fun. So let’s make it fun. Thanks for reading and be sure to leave your comments below.